This article first appeared in City & Country, The Edge Malaysia Weekly, on April 2, 2018 - April 08, 2018. With its signature red logo and a top hat-wearing mascot, Monopoly has been one of the most recognisable and riveting board games in the world. First released in 1935, Monopoly features a pair of six-sided dice and tokens to move around a board, buying and trading properties and developing them with houses and hotels. Over the years, more that 200 million sets of the board game have been sold worldwide and it is now printed in 26 languages. Today, it has been reinterpreted into a hotel called Monopoly Mansion, the first Monopoly-themed hotel in the world, thanks to its global publisher Hasbro’s collaboration with Malaysian developer M101 Holdings Sdn Bhd. Monopoly Mansion will form part of M101’s second development, M101 Bukit Bintang, which was launched in 2014. 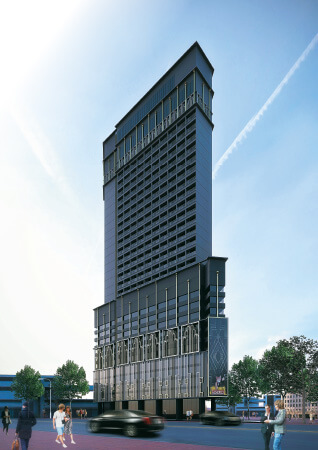 The mixed-use project has a gross development value (GDV) of RM280 million and is expected to be completed this year. The hotel will open for business next year. 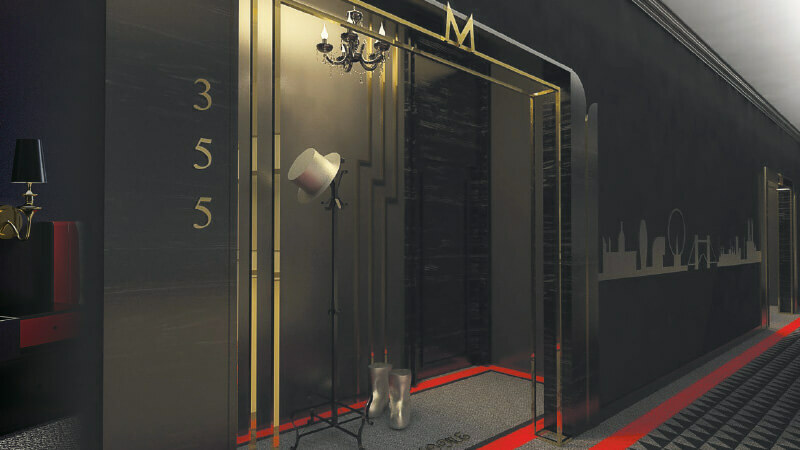 Located in Jalan Baba, Monopoly Mansion will be part of M101 Bukit Bintang’s 27-storey tower. It will occupy 20 floors, 14 of which will be taken up by 255 rooms in total. The built-ups start at 407 sq ft and there will be eight types of layout. The hotel is strategically located in the Bukit Bintang corridor, with the upcoming Bukit Bintang City Centre and Tun Razak Exchange as its neighbours and with access to the LRT and KL Monorail. Though it is a hectic Thursday, M101 Holdings founder and CEO Datuk Seth Yap and Claire Gilchrist, vice-president of Hasbro consumer products, Asia-Pacific, sit down with City & Country to talk about the project. “We first met up with the Hasbro team at the Las Vegas Licensing Expo in 2016. At the time, we were looking for the right brand to bring into M101 Bukit Bintang, and when we came across Hasbro, we felt it was the right fit for our development,” says Yap. As for Hasbro’s vision, Gilchrist says “it is to create the world’s greatest brand and play experiences, a vision that is anchored in our brand and blueprint”. She explains, “We recognise the potential of Monopoly Mansion to bring this vision to life, creating a unique and highly immersive experience for families leveraging one of our most beloved brands, Monopoly. The brand is a perennial favourite of the market. It has been played by more than one billion people in 114 countries around the world and has more than 10 million global Facebook fans. Monopoly celebrated its 80th anniversary in 2015. “Given its popularity, Hasbro and M101 Holdings share a joint vision to create the world’s first fully themed Monopoly hotel that we are confident will create emotional connections to the brand and lifelong memories for its guests. We couldn’t be more thrilled to build a long-term partnership with M101 Holdings. Yap and Gilchrist clearly have a close rapport and a good understanding of the product, for during the interview, as they discuss the project, they come up with new ideas for Monopoly Mansion on the spot. “That seems like a good idea,” remarks Gilchrist as they chat about features that could be added to Monopoly Mansion. As the idea for Monopoly came from the pursuit of wealth during the Great Gatsby era, the group plans to feature opulent details in the development to capture the time period. 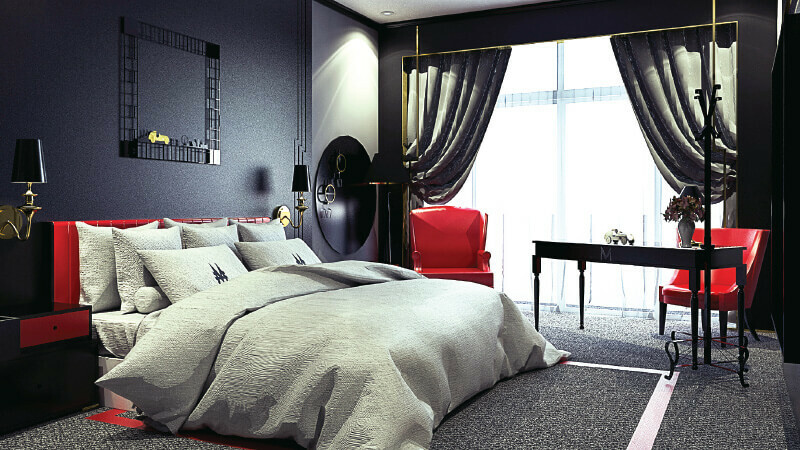 The aesthetic of Monopoly Mansion’s suites will complement M101 developments with signature red stripes, reflective black glass and titanium pedestals. “Before proceeding to the actual design, we gave Hasbro our proposal for what to expect in Monopoly Mansion. As Mr Monopoly was created in the 1920s, we envisioned him residing in Monopoly Mansion. Another special feature of Monopoly Mansion will be its bubble lift. “The bubble lift will enable you to see parts of the building that you cannot see otherwise,” explains Yap. Gilchrist maintains that Hasbro will put together features and subtle hints of the board game into Monopoly Mansion. “We don’t plan on taking too much of the Monopoly brand and placing it everywhere in the hotel. We just want ‘a kiss of the brand’. The important thing is to understand Monopoly’s DNA and find nuances in creative ways for the consumer,” she says. “We have plenty of ideas for Monopoly Mansion. For example, we have thought about having the room keys designed like the property cards in the game. And instead of customers throwing it away, we plan on offering rewards to those who collect them, for example, redeem a free room or free merchandise. M101 Holdings, which was founded in 2012, plans to launch 10 projects, mainly small office/flexible office (SoFo) units, with a total GDV of RM4 billion in the next few years. It aims to build statement projects to promote “property tourism” in the country, targeting investors from China, Hong Kong, Taiwan, Japan and the Middle East. Apart from M101 Bukit Bintang, the group also launched its maiden project, M101 Dang Wangi, in 2014. Located in Jalan Kamunting, the freehold project with a GDV of RM130 million was completed last year. The project is fully taken up. Its third project, M101 Skywheel, was launched in January last year and has a GDV of RM2.2 billion. It features two 78-storey towers with 1,111 SoFos and 96 suites. The suites, which will be designed by Studio F. A. Porsche, will be located on the 53rd to 76th floors. The two-acre development will also feature Asia’s first Planet Hollywood Hotel with 207 rooms. Linking the two towers on the 48th to 52nd floors will be offices and the Skymall, which will offer 200,000 sq ft of retail space. M101 Skywheel, named after a proposed Ferris wheel on the 52nd floor, was unveiled in January last year and is targeted for completion in 2021. All of the SoFos in Phase 1 and 65% in Phase 2 have been taken up. With built-ups of 400 to 810 sq ft, the units are priced at RM1,200 to RM1,500 psf. On the group’s plans for the future, Yap says, “In line with our property tourism business strategy, we will strive to build iconic developments and partner brands to create horizontal brand penetration. We want every market segment to know our developments, not just the property industry. He adds, “As a group, we also plan to focus on our hospitality arm, Sirocco Hospitality Group, this year. 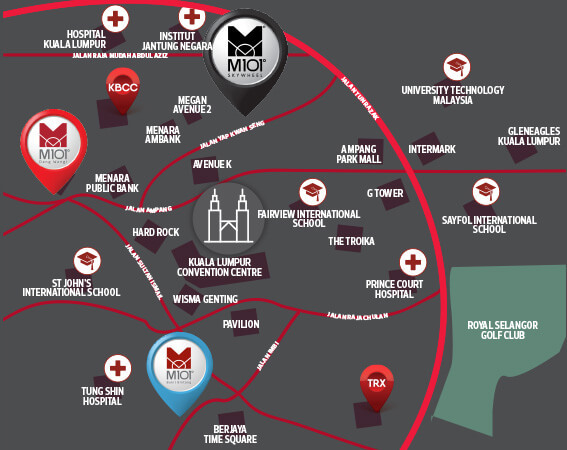 Sirocco brings a wealth of expertise and is managing M101’s first hotel, RED by Sirocco, at M101 Dangwangi in Kuala Lumpur. It will also manage Monopoly Mansion at M101 Bukit Bintang and Planet Hollywood at M101 Skywheel.